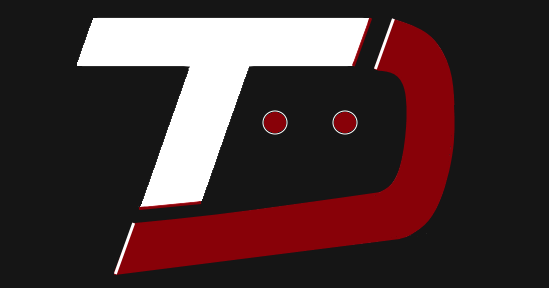 Both Asus and Samsung are two very reputed brands in the smartphone industry. 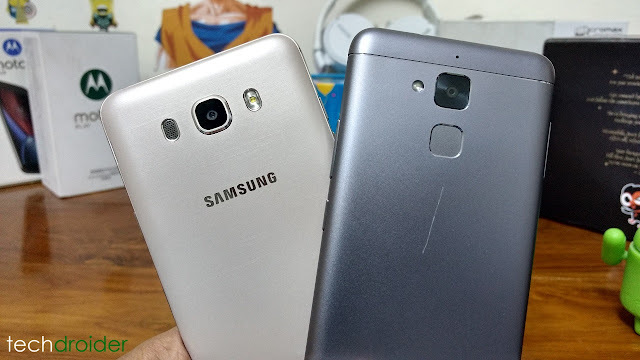 Here we have thus brought two noted mid-range smartphones of both Samsung and Asus. From Samsung's stable there is Galaxy J7 2016 while on the other hand there is the Zenfone 3 Max ZC520TL. The Zenfone 3 Max ZC520TL is priced at ₹12,845, while the Samsung Galaxy J7 2016 costs ₹14,900. 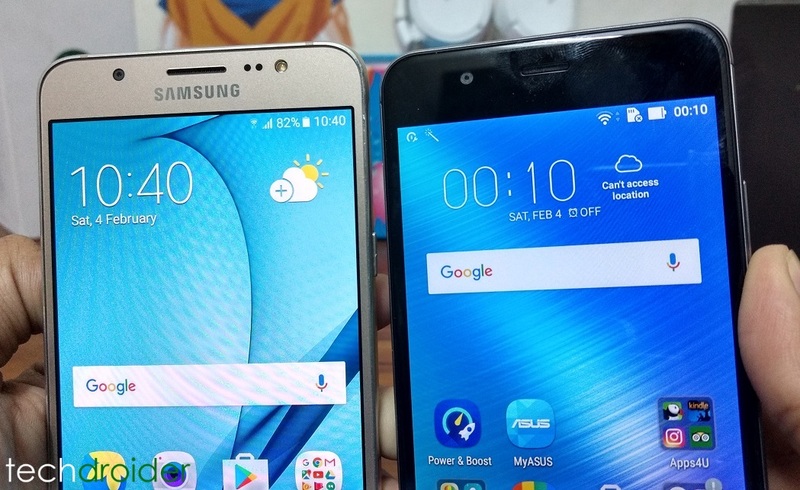 Both of the Smartphones have whole different design, The Galaxy J7 2016 features capacitive navigation keys and a home button, while the Asus Zenfone 3 Max has on-screen keys with fingerprint sensor at the back. The Asus ZenFone 3 Max ZC520TL is armed with a 5.2 inch HD Display with 1280 x 720 pixels resolution (HD). The Samsung Galaxy J7 2016 has a bigger 5.5 inch HD Super AMOLED display with resolution of 1280 x 720 pixels. The Samsung Galaxy J7 2016 is armed with a Snapdragon 617 1.6 GHz octa-core processor, and runs with 2 GB of RAM. 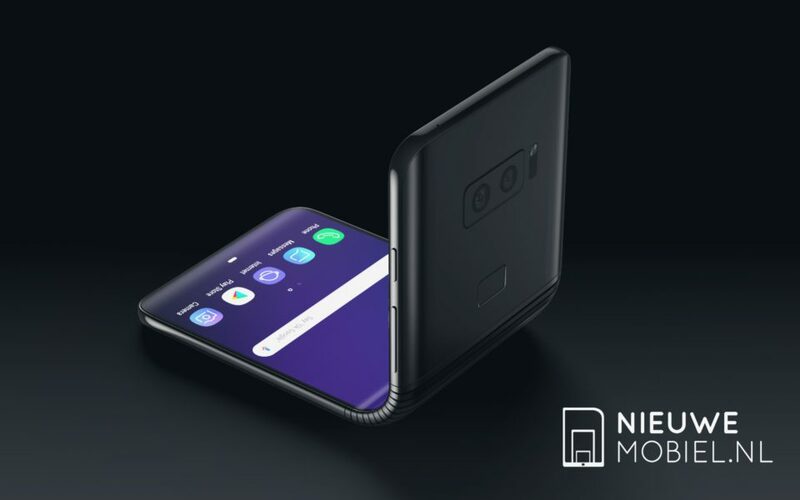 The internal storage stands at 16 GB to which you can add another 128 GB via a microSD card. The Asus ZenFone 3 Max ZC520TL on the other hand has a Mediatek MT6737T 1.4GHz quad-core chipset and runs with 3 GB of RAM and has 32 GB of internal storage to which you can add another 32 GB via a microSD card. The Asus Zenfone3 Max ZC520TL is ahead when it comes to the processing ability but the Samsung Galaxy J7 2016 is better at storing external data. The Asus ZenFone 3 Max ZC520TL runs on Android Marshmallow, with Asus's Zen UI on top of it. The Samsung Galaxy J7 2016 too runs on Android Marshmallow and has the well-known Samsung TouchWiz OS. The Samsung Galaxy J7 2016 runs a 3300 mAh battery which can provide 15 hours of talk time or 354 hours of standby. The Asus Zenfone 3 Max ZC520TL has a 4000 mAh battery and it last longer as compared to the J7 2016. Both of the Smartphone features a 13-megapixel rear and a front 5 megapixels camera for selfie lovers. Camera's of both the smartphones are equal and capture amazing shots. 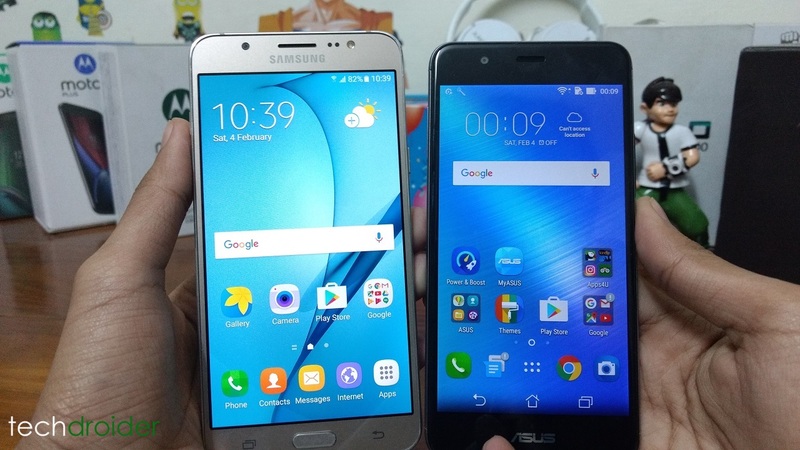 Both of the Smartphone features great specs, The Asus Zenfone 3 Max ZC520TL has a giant battery, more RAM and Internal storage, while the Samsung Galaxy J7 2016 just has better Display as compared to the Zenfone 3 Max.